This is a public service announcement for those of you with blue eyes and nice eyelashes. Personally, I have “aging” eyelashes so despite my blue eyes, I tend to stick with mascaras that have the sole purpose of making my eyelashes look longer and thicker. However, my lucky teen has blue eyes AND nice long eyelashes. So she is able to go for mascara that highlights her eyes rather than trying to fudge the lashes themselves. Her favorite mascara ever was CoverGirl Exact EyeLights in Black Sapphire. It had just enough tint in it that it made her blue eyes really pop. Unfortunately, we noticed that it was getting harder and harder to find it in stores and eventually started buying it online. Now even online it’s up to over $22 package and most of them seem to be dried out. What’s a girl to do? Look for a replacement! 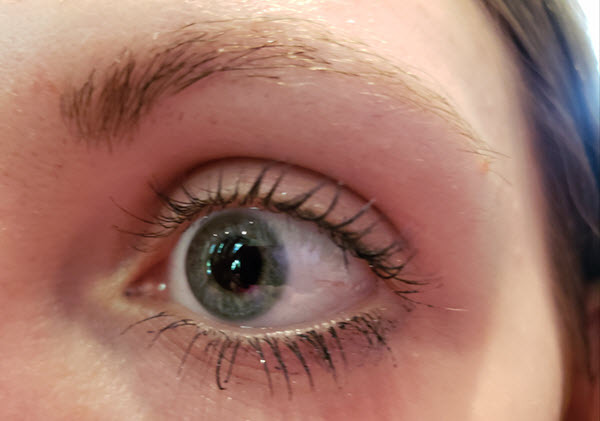 After trying some different mascaras, she has landed on Almay Intense I-Color Volumizing Mascara for Blue Eyes (Sapphire). Although it is a little bit thicker than the CoverGirl, the color is very similar and it gives her eyes the same pop. An added bonus (at least in her opinion) is that it has a little bit of sparkle to it. At around $8, it is in the same ballpark price-wise as the CoverGirl. What about all of you who don’t have blue eyes? Here’s a look at what the mascara looks like on Jillian. You can’t make out the blue much with the lighting, but you can see the coverage and a little of the sparkle that catches the light. 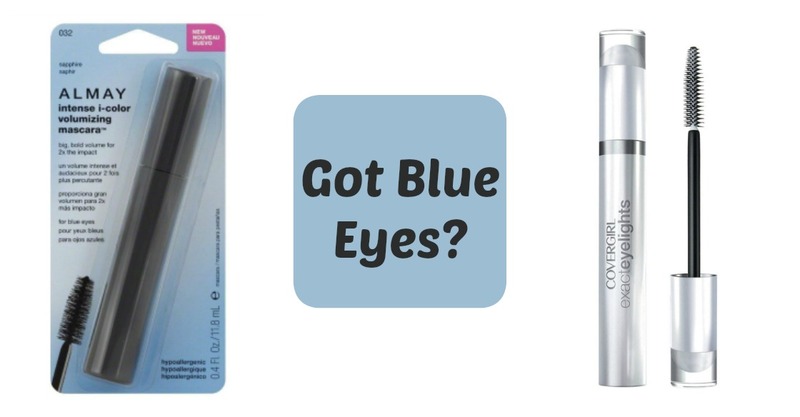 Do you have a favorite mascara specific to your eye color?